Can publicly owned farmland be a catalyst for improving suburban community health & vigor? 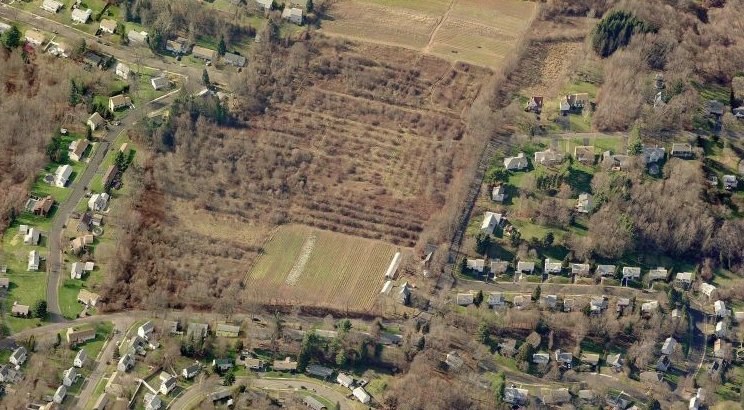 AppleSeed Permaculture and Milone & MacBroom, Inc. are collaborating on a project with the town of Hamden Connecticut to envision the potentials for reuse of a former farm. This project is funded by a grant from the state Department of Agriculture. 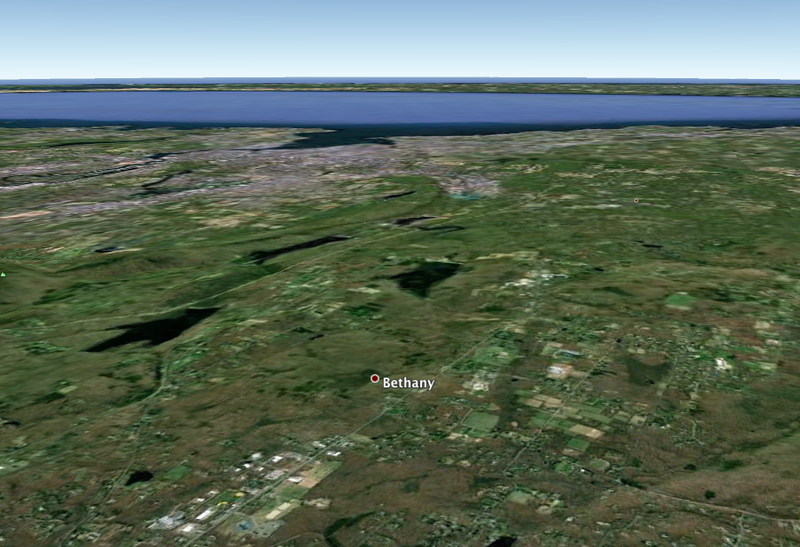 Agriculture has deep roots in Hamden, with orchards in this location appearing on maps since 1852. The former Maselli Farm remained in agricultural use even as neighboring farmland was rapidly developed into suburban communities. Now this 33-acre tract of land is one of the last remaining open spaces in the community. Residents in the neighborhoods adjoining Maselli Farm have tenaciously pursued maintaining this land as open space. 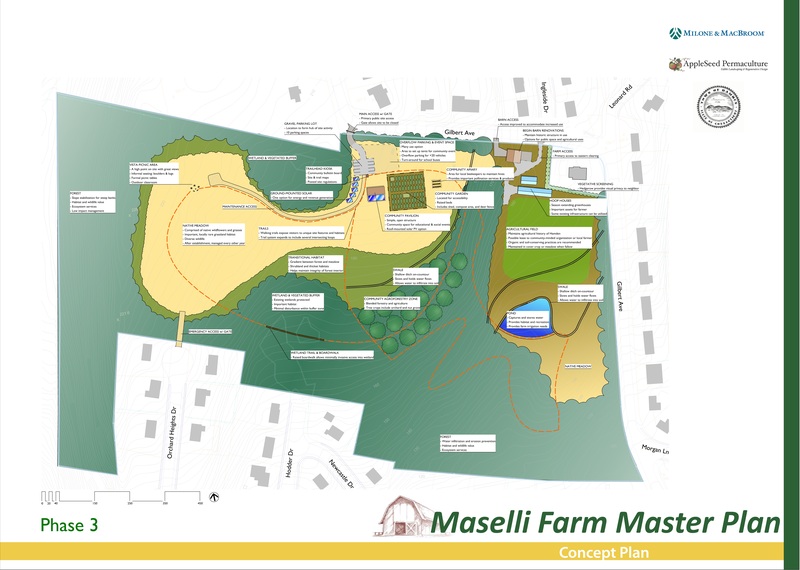 A community meeting drew a large crowd eager to offer their ideas about what Maselli Farm should become. Most people advocated for either a public open space, a working farm, or a blend of the two. Our role is now to reconcile the most popular ideas into a plan that makes sense socially, ecologically, and financially. Maintaining open space and farmland in our towns and cities provides many benefits. Recreational opportunities positively impact people’s emotional and physical health, while contact with trees and living systems has a profound impact on mental well-being. Children who spend more time in “green” settings have reduced symptoms of ADHD and higher test scores. The living systems provide numerous “ecosystem services” such as cleaning the air, infiltrating water and reducing runoff, cooling the community, and bolstering local biodiversity. 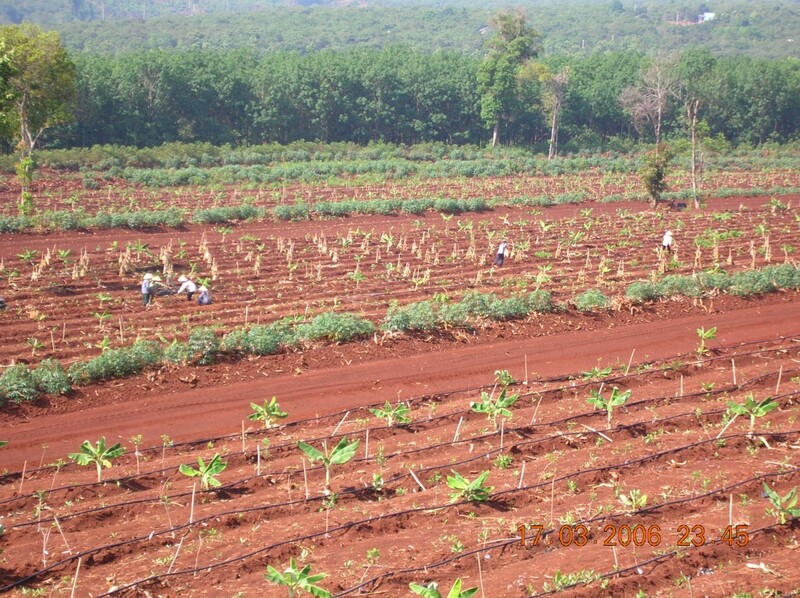 The land base can also be utilized to grow food and other products to be consumed locally in a way that builds local economic resiliency and improves food security. In this design, a forested buffer around the edges of the site offers wildlife habitat and other ecosystem services while also creating a buffer for the surrounding neighborhoods. A swath through the center of the site becomes a native grass and wildflower meadow, providing ecological diversity and granting visitors impressive views across the site and into the distance. A large area is dedicated to agricultural activities, while other areas host community gardens, a gathering pavilion, and spaces of outdoor learning. The historic barn is renovated and serves as an anchor for cultural activities and a window into Hamden’s history. 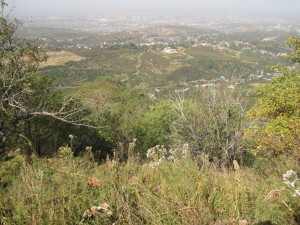 A trail system connects neighborhoods through the site and allows users to experience the diversity of ecosystems, terrain, and uses that the site has to offer. Wouldn’t your neighborhood benefit from a productive community green space? We believe that every neighborhood needs a farm. Contact AppleSeed Permaculture if you want to support making a project like this happen in your town. 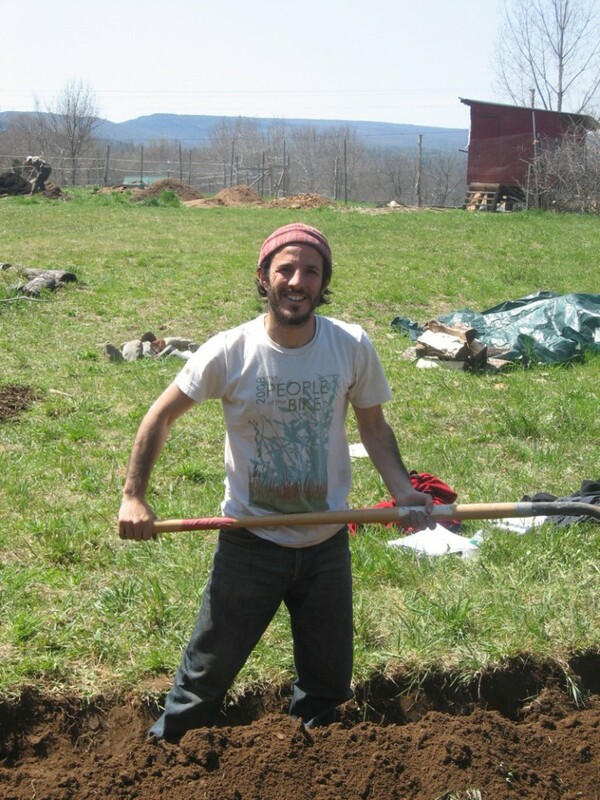 Connor Stedman, consultant and designer for AppleSeed Permaculture, will lead a pre-conference intensive at NOFA’s Summer Conference. 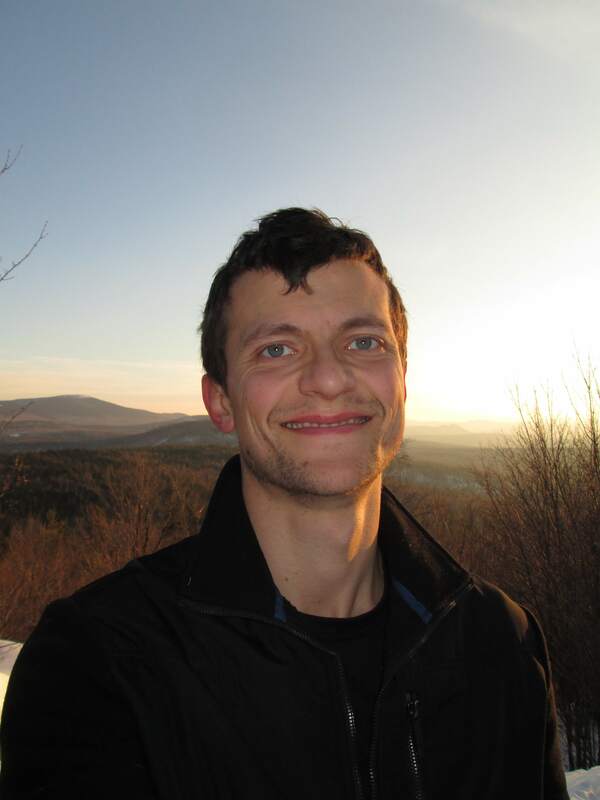 He will be providing an overview of farming practices that can help stabilize the global climate by sequestering atmospheric carbon in soil and perennial plants. This will be the forty-first annual Summer Conference and will be held from August 14-16 at the University of Massachusetts, Amherst. ASTANA – As Kazakhstan pushes to develop its agricultural sector with increased funding for farming even in times of belt-tightening, organic farming and permaculture experts are hoping the concepts maintain a foothold in the country. 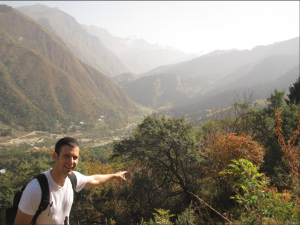 Ethan Roland Soloviev overlooking wild seaberry shrubs, apple forests, walnut groves near Alma Arasen, Almaty. Though overlooked in recent decades, the practices are part of the country’s not-too-distant past, and today, Kazakhstan is working toward exporting its own ecologically “clean” products under its own national brand, Vice Minister of Agriculture Yermek Kosherbayev said during a seminar on supporting the development of organic agriculture and institutional capacity-building in Kazakhstan in Astana on Feb. 27. However, Kosherbayev said, a lack of legislation is slowing the process down. 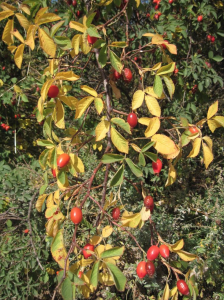 Wild rose hips in apple forest area. A Nov. 24 roundtable discussion organized by the Astana Centre of the Organization for Security and Cooperation in Europe (OSCE) and the ULE Coalition for a Green Economy and the Development of G-Global brought together government, business and nongovernmental organization representatives to discuss the state’s role in supporting organic farming, including providing incentives, as well as specific agricultural technologies. “The current methods of farming in Kazakhstan are leading to the destruction of natural vegetation that protects the land from erosion and accelerate the process of soil mineralization, which result in drastic decline of its fertility, crops yields and harvest as a whole,” said head of the OSCE’s Astana Centre Natalia Zarudna at the roundtable, as reported by the Times of Central Asia on March 14. Organic farming practices could contribute to solving the problem, she said. An OSCE report on the discussion said that the group noted that developing organic farming and implementing Kazakhstan’s transition to a green economy depend a great deal on the development of appropriate legislation and government regulation, as well as using domestic and international experience effectively. At a media briefing on March 12, Zhibek Azhibayeva, secretary of the Trade Committee of the Kazakhstan’s National Chamber of Entrepreneurs, said Kazakhstan’s organic products market had been estimated at more than $500 million and that plans were in place to introduce an organic products production chain, the Times of Central Asia reported. According to Azhibayeva,150,000 hectares of farmland in Kostanai oblast have been certified as eco-friendly. At the Feb. 27 seminar, the Kazakhstan Federation of Organic Agriculture Movements (KAZFOAM) reported that 25 farms in Almaty, Kostanai and North Kazakhstan have 296,000 hectares of certified ecologically clean fields. 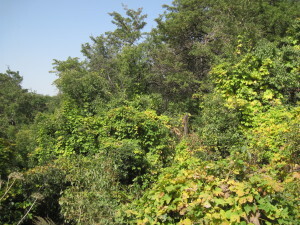 Wild apple forests at site with grapes, hops, licorice, and other economically useful species. Roland is working with the Kazakh Research Institute of Fruit Growing and Viticulture (KazNIIPiV) in Almaty and the Institute for Ecological and Social Development (IESD) in Almaty. They work primarily on preserving and regenerating the biodiversity of Kazakhstan’s apple forests, but also plan to branch out into other areas of biodiverse farming. “This work is just beginning,” Roland told The Astana Times. “Some of my colleagues … have been working on different aspects of this – e.g. IESD promoting sound agricultural practices within the matrix of the existing biodiverse apple forests. Going forward, we intend to offer workshops on the benefits of biodiverse farming and explore research projects.” He expects to find a receptive audience. His Kazakh colleagues are also enthusiastic about developing organic agriculture, Roland said, especially as its products will likely demand higher prices in local and export markets. Raul Karychev, laboratory chief at KazNIIPiV, told The Astana Times on March 10 that his institute is studying and implementing elements of organic fruit growing, including identifying varieties most adapted to local conditions and which don’t need chemical treatments and studying adaptive orchard design and crown formation systems, drip irrigation, high-technology farming, organic fertilizer and more. 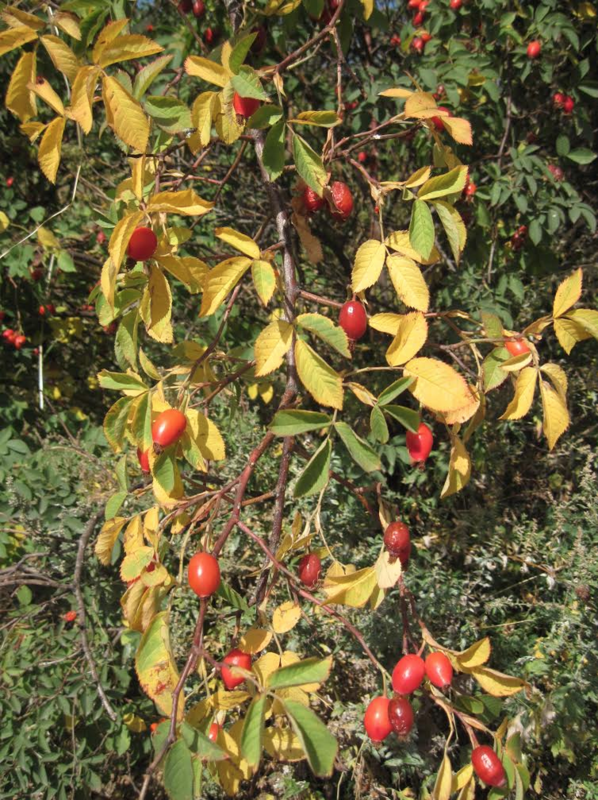 With international partners including the Apios Institute, the institute has established wild fruit ecosystems in the Zaili Alatau region, Karychev said. He also noted that the Horticulture Master Plan of the Agribusiness 2020 Programme provides for a phased increase in orchard areas in Kazakhstan. “The Kazakh government has embarked on the green economy, so the area of organic orchards and the demand for environmentally friendly products will only grow,” he said. 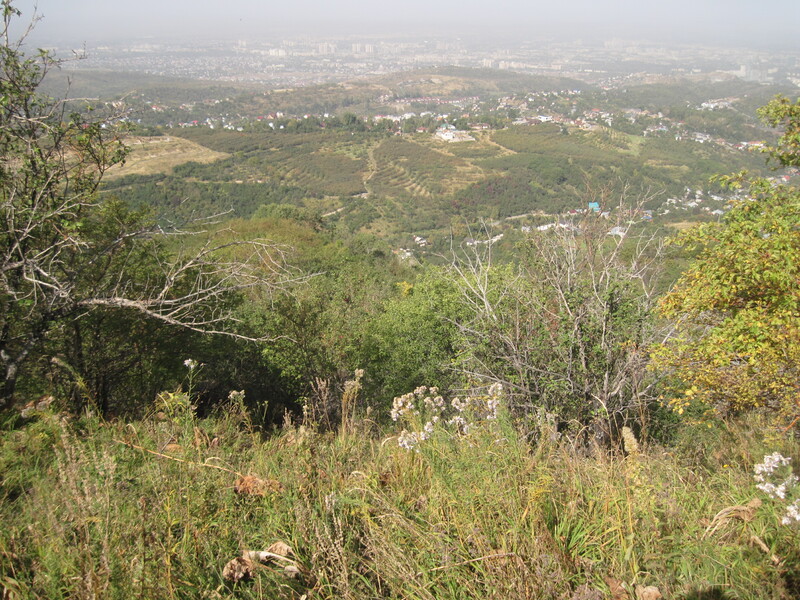 Wild apple forests, cultivated orchards, overlooking Almaty. 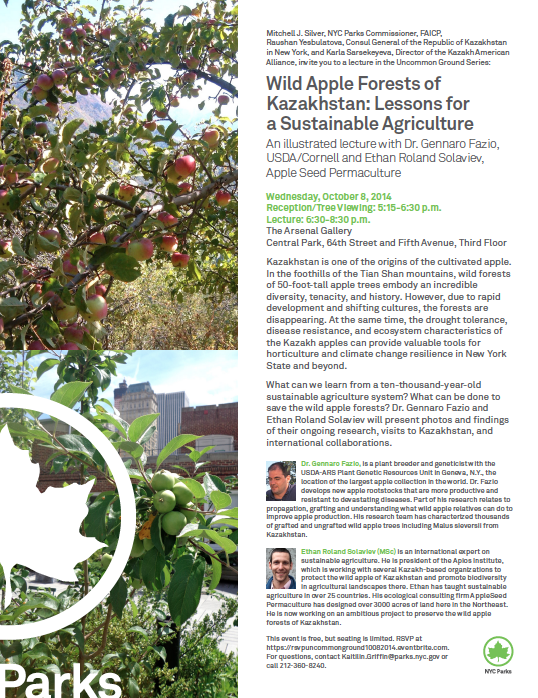 “The wild apple forests of Kazakhstan are part of one of the world’s biodiversity hot spots – it is one of the centers of origins of many fruits, and could potentially hold the keys to a sustainable agriculture of the future,” Roland says. But beyond apples, Kazakhstan also has an important agricultural tradition, and one which is beginning to be recognized and supported. 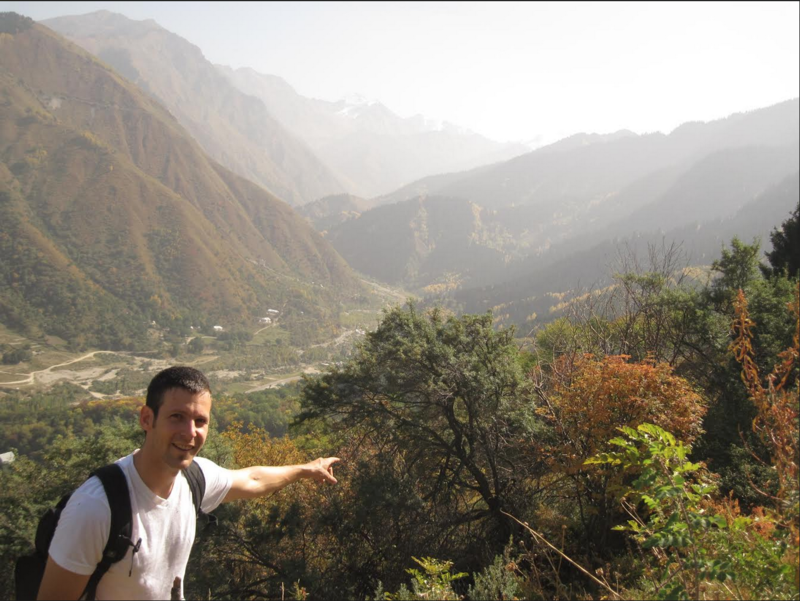 “Kazakh food production has a fascinating and beautiful history, with two interwoven threads of livestock-focused semi-nomadism and advanced mountainside and outwash valley horticulture,” Roland explained. Now is the time to look back to the country’s early food production methods. The country’s grasslands and forests would be particularly well-suited to organic and biodiverse agriculture, he said. “Modern ‘organic’ agriculture often does not do much more than change the sprays and offer a bit of focus on soil health. 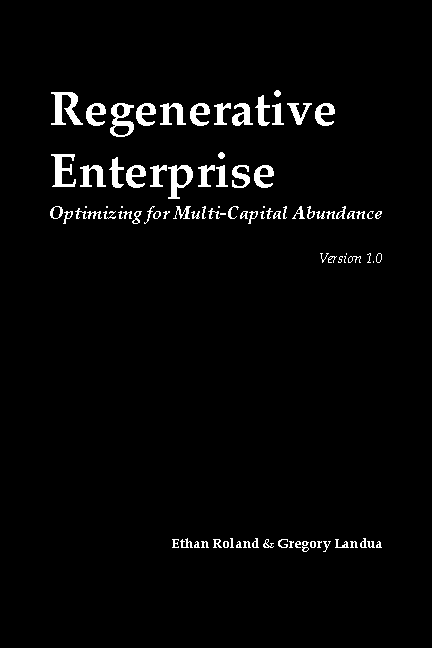 If the overall framework is still industrial-scale tillage, then ‘organic’ alone isn’t much of an improvement.” He proposes instead regenerative agriculture, permaculture and carbon farming. These include biodiverse food forests and vast grasslands, which can produce useful yields with little to no input, Roland said. “Mimicking the natural Kazakh ecosystems could produce a new form of mixed perennial agriculture, with many opportunities for unique value-added products.” Among these products could be fruits like pears, plums, peaches and many more; nuts; a variety of berries; vegetables; herbs; honey and maple syrup; plus some smaller livestock. Most of these, Roland said, have been part of Kazakhstan’s indigenous ecosystem for years. Kazakhstan’s grasslands, if managed holistically, could be systems adaptable enough to withstand changing climates, weather and politics and that could produce enough meat for domestic and export markets, Roland said, sustaining horses, sheep, goats, deer, elk, buffalo and other smaller animals producing cheese, yogurt, kumis, leather and fur. Would you like to turn your lawn or garden into an abundant edible oasis? The following slideshow will offer you the basic reasoning, medications principles, pharmacy and plants to transform your home or workplace. 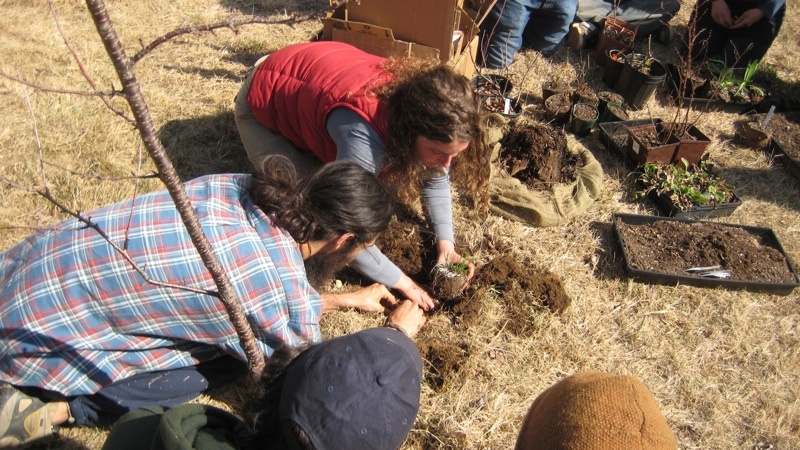 AppleSeed Permaculture is also available for consulting so that you can choose the appropriate plants and plant communities for your particular site.